Let’s say state Y wants to promote the production of energy-efficient taxis in the bid to increase employment and encourage tax remittance. So, it decides to offer tax benefits to manufacturer X in the automobile assembly. In return, the manufacturer agrees to sell its taxis at a subsidized price. Due to the affordability of the taxi, more people will gain access to jobs. The jobs will earn them money to pay their taxes and also allow them to re-invest. The benefits will also trickle down to the national government in the form of paid taxes. In return, these taxes will enable the government to invest in programs that will not only increase the employment rate but also benefit everyone in the economy. From the example above, macrofinance policies help in eliminating risks and costs of the investment. They encourage investors while still making it a win-win for everyone in the economy. Often, there is considerable confusion between the meaning of macrofinance and microfinance. But what all policymakers agree on is that in the presence of a balance between policies and goals, both macrofinance and microfinance provide a lot of benefits to the general economy. Microfinance is tailored to meet the needs of individuals, small industries, or any small operating business that faces difficulties in accessing funds, while macrofinance focuses on meeting the needs of a section of the economy or the whole economy itself. Below is a detailed comparison of both macrofinance and microfinance. Conceptually, microfinance focuses on individual needs while macrofinance focuses on the whole nation. In microfinance, the common financiers are microfinance Institutions (MFI), self-help groups (SHG), donors, and non-governmental institutions (NGO). 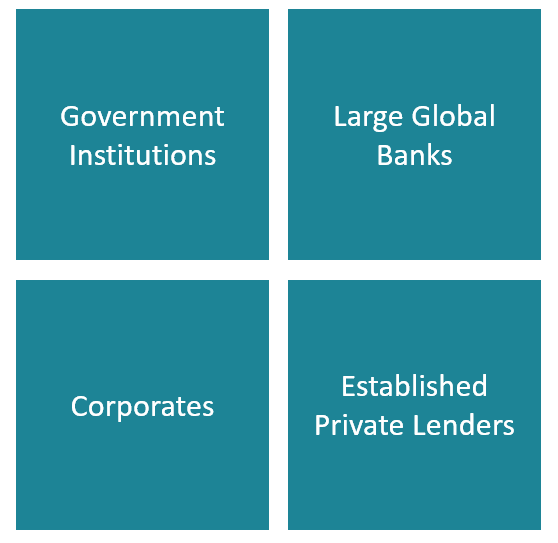 In macro finance, the financiers are major players such as governments, big corporations, established private lenders, and banks, including the central bank. Since the mode of operations is small in microfinance, the funding is generally continuous. However, with significant investments in macrofinance, projects only last for a limited tenure depending on the type of the project. In microfinance, since financing is tailored to benefit an individual, the rate of default is very high. However, in macrofinance, since the benefit is for the whole economy, the primary challenge is in policy implementation rather than failure or discontinuation of the program. Microfinance empowers individuals to become self-reliant, while macrofinance aims at profiting the whole economy. For instance, Joe may borrow $15,000 for a new start-up. As a result, he may only employ James and Zowe as his assistance. On the other hand, a government Z may want to construct a new public subway. The new line may cost the government $200 million per kilometer. When a contract is issued to company XY, the company on the ground employs a large number of workers to work on the construction site. In MS Excel, a macro is a feature triggered by keyboard or mouse event that automates repetitive and common data formatting tasks. In accounting, it’s known as macro accounting. It refers to the accounting for the aggregate performance of the country. Like macro finance, macro accounting focuses on the general economy of the nation, rather than a single entity. Macro risks refer to political changes that are either controllable or uncontrollable. Usually, they affect all foreign activities that hamper investment opportunities and hurt the GDP of the involved country. Often, an acute effect may lead to high inflation and collapse of the currency. Macro in economics focuses on changes in asset prices in a section of the economy or the whole economy, rather than a specific industry.